HTC has a phone for everyone: the tech addict (Sensation), the girls (Rhyme), the music fan (Sensation XE or any Beats phone) and finally those looking for a lower end model (Wildfire and Wildfire S). 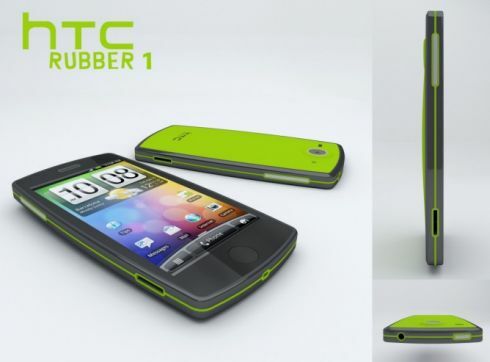 What they lack is a rugged phone for sports enthusiasts, a niche filled by the HTC Rubber, a concept created by Richard Malachowski. Originating from Barcelona, Spain, the designer envisioned a rubbery HTC concept phone, that switches the unibody aluminum case for one covered with a more flexible and resilient surface. I guess that this model would survive a drop, unlike the HTC HD2, that has been famous for cracking up once it hit the floor.